If we take a look at recent lot of mid-range smartphones, most of them look somewhat similar. Post the Apple iPhone X (review) launch last year, we all knew that many Android handsets will invariably take inspiration from the notch design, but the adoption rate for this rather controversial design choice has been surprising, to say the least. Thankfully, Samsung has still not boarded this bandwagon (yet!) and the company is opting for slim-bezel designs on its mid-range and flagship offerings instead. However, this is not to say that the brand is done experimenting with its new offerings. 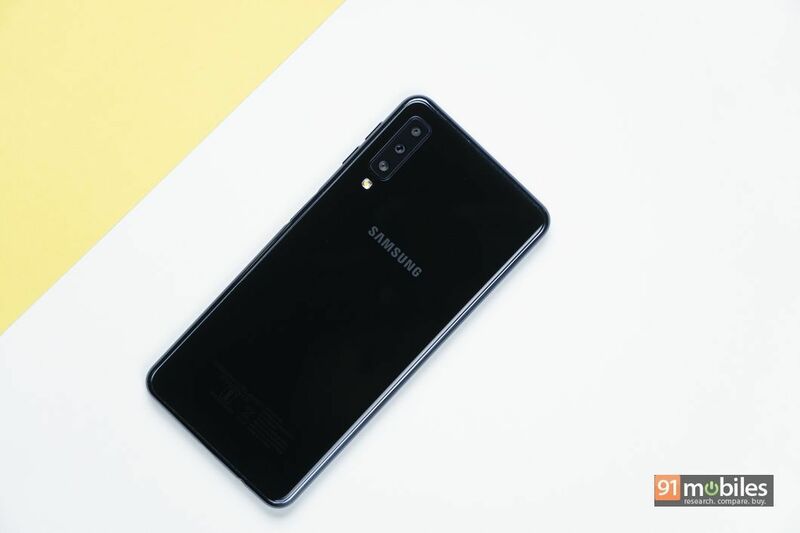 Case in point, with the newly unveiled Galaxy A7 (first impressions), the company has launched its first phone with a triple camera setup. Does this unique edge in optical hardware provide the handset with unparalleled camera performance? Read our detailed review below to find out. 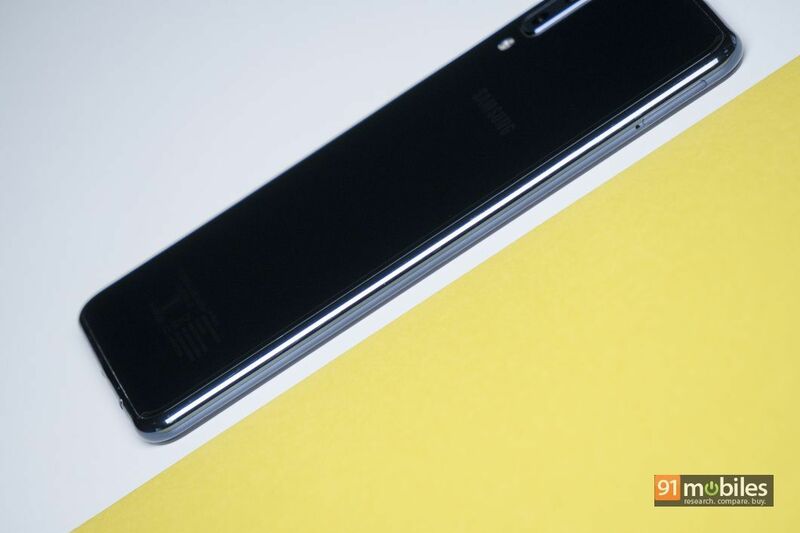 As we mentioned in our initial impressions, the Galaxy A7 has a very blocky feel to it. However, it does not feel too large in hands either. The glass sandwich design definitely adds a premium feel to the phone but that comes at the cost of the phone turning out to be a fingerprint magnet. The rear-facing triple camera setup is located on the top left in a vertical orientation, with an LED flash placed below. 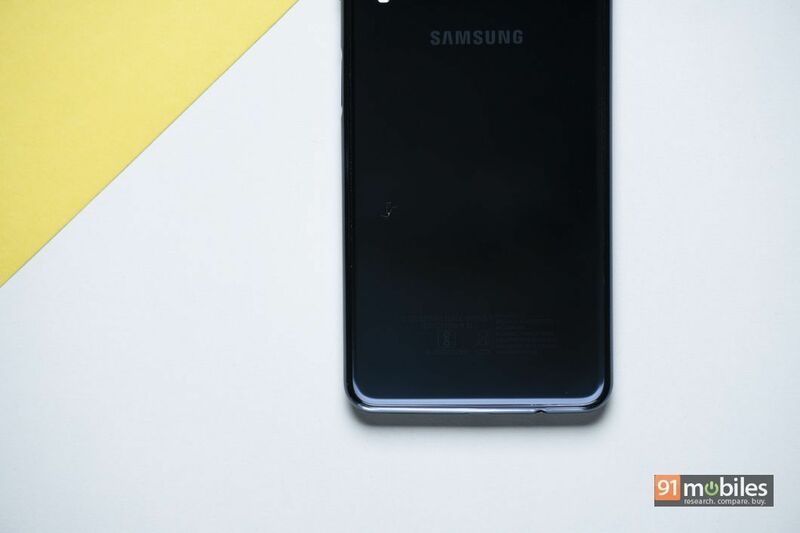 The power button, with an integrated fingerprint sensor, is located on the right spine of the smartphone, much like the one on the Galaxy J6+ (review) we reviewed recently. As was the case with the Galaxy J6+, the power button is not very tactile and you might take some time before you get used to of the placement. The volume buttons are located right above the power button and will require you to adjust your grip when using the phone with one hand. 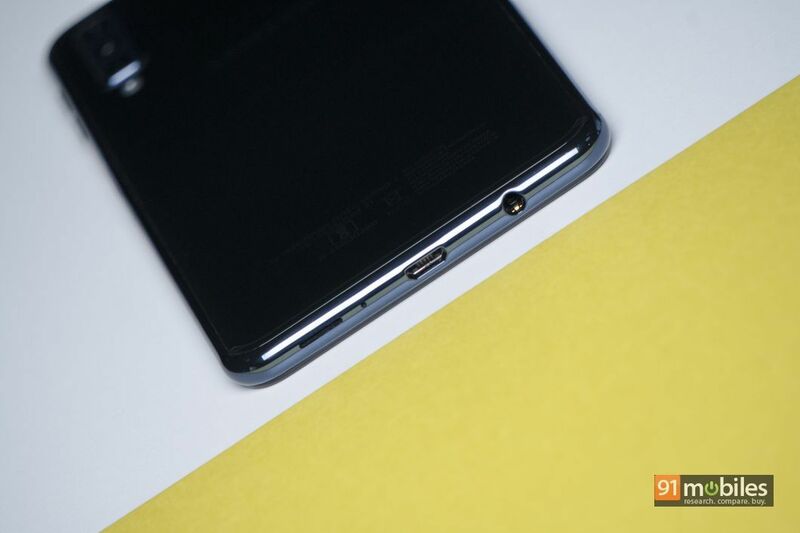 The SIM card slot is present on the left spine, while the micro-USB charging port, 3.5mm audio jack, and the loudspeaker grille are all located on the bottom of the smartphone. 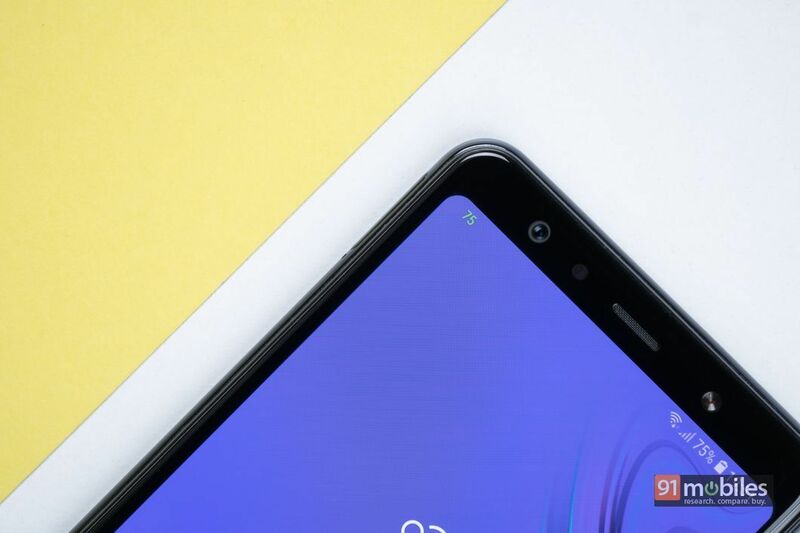 We have been cribbing about this for a while now, but a new smartphone in this price range should ideally be shipping with a USB Type-C charging port. 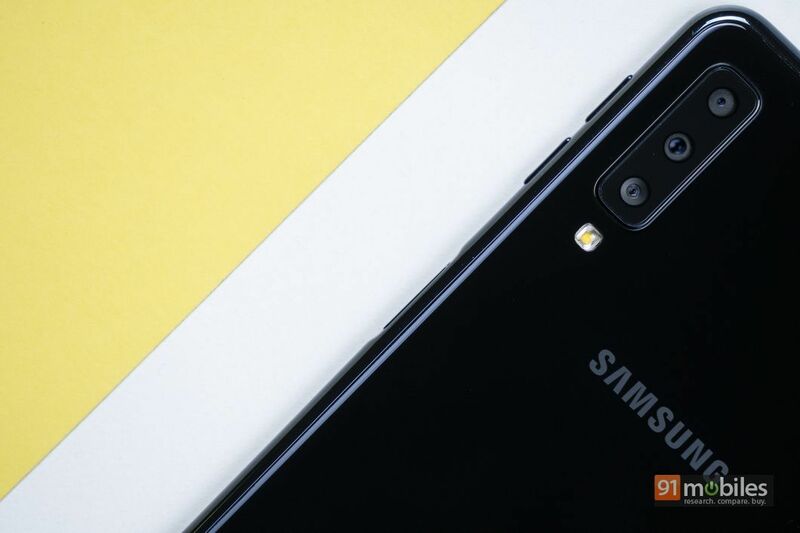 The Galaxy A7 is the first phone from Samsung that features a triple camera setup at the back. Now, by all means, this is the clear USP of the handset and Samsung wants you to know that the three camera sensors are capable of clicking some seriously good shots. 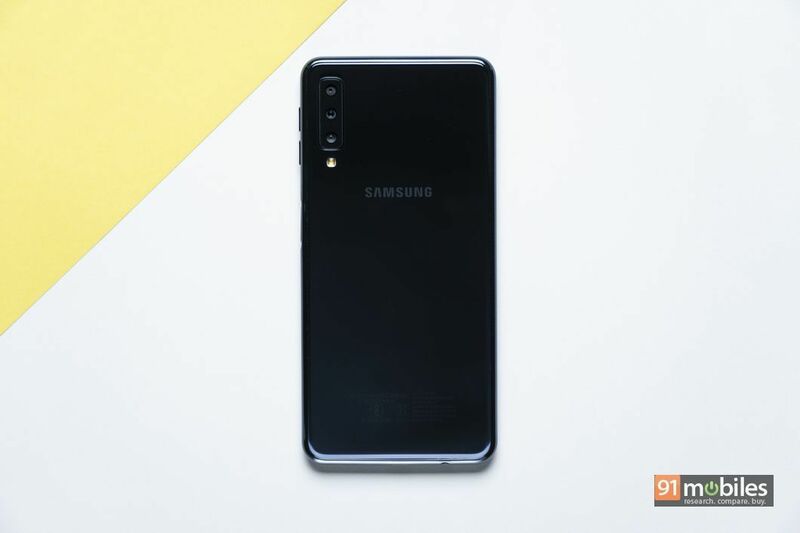 For the uninitiated, the rear-facing triple camera setup on the Galaxy A7 includes a 24MP primary sensor with f/1.7 aperture and PDAF support, a 5MP depth sensor with f/ 2.2 aperture, and an 8MP wide-angle sensor with f/2.4 aperture. 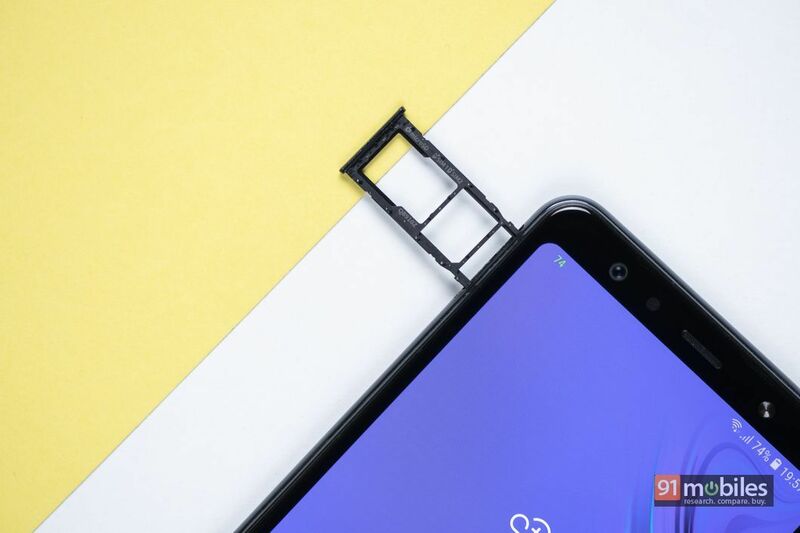 Below this vertically-oriented camera module, there is an LED flash to assist the smartphone in poor lighting conditions. In the default camera app, you don’t even have to dive in deep before you will come across the wide-angle feature. In the Auto mode, the wide-angle option presents itself on the home screen itself. Notably, this wide-angle option is only available with the Auto mode. When clicking pictures, you will realise that you don’t have to move back physically just to get subjects into frame anymore. We ended up taking most of the pictures with the wide-angle lens during our testing as it enabled us to capture a bigger picture. There is a slight fish-eye effect in the images taken via wide-angle mode, but it is not noticeable to a point where it would diminish the picture’s quality or make it look as if we are looking through a glass ball. The wide-angle lens is a nice addition to the phone, but not something that revolutionises smartphone photography. The other modes on offer include Panorama, Pro, Scene Optimiser, Beauty, Live Focus, Slow Motion, AR Emoji, and Hyperlapse. The Scene Optimiser mode, as you might have guessed from the name, allows the phone to detect the scene and accordingly make enhancements. In our usage, this mode did not add an unnatural tone to the images but made subtle enhancements, which were mostly decent. 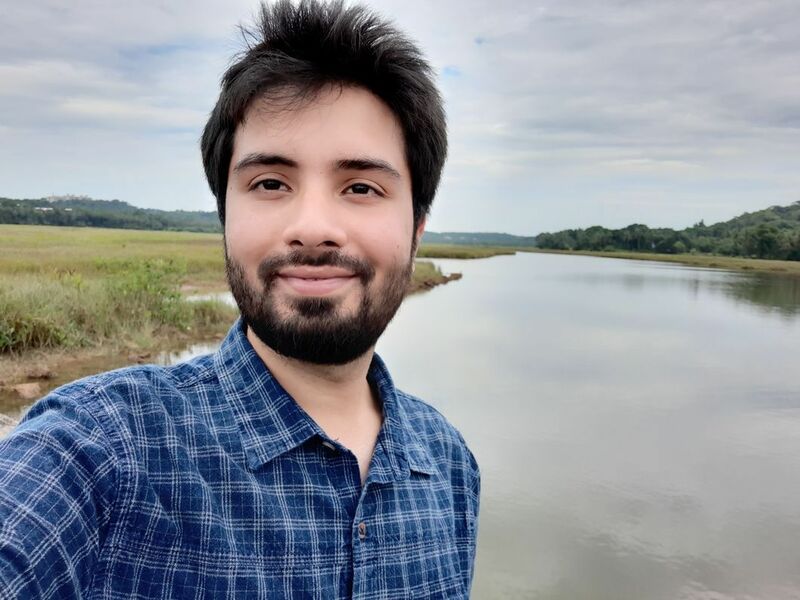 The handset’s rear camera setup managed to take some decent shots for us, most of them in daylight and outdoor conditions. 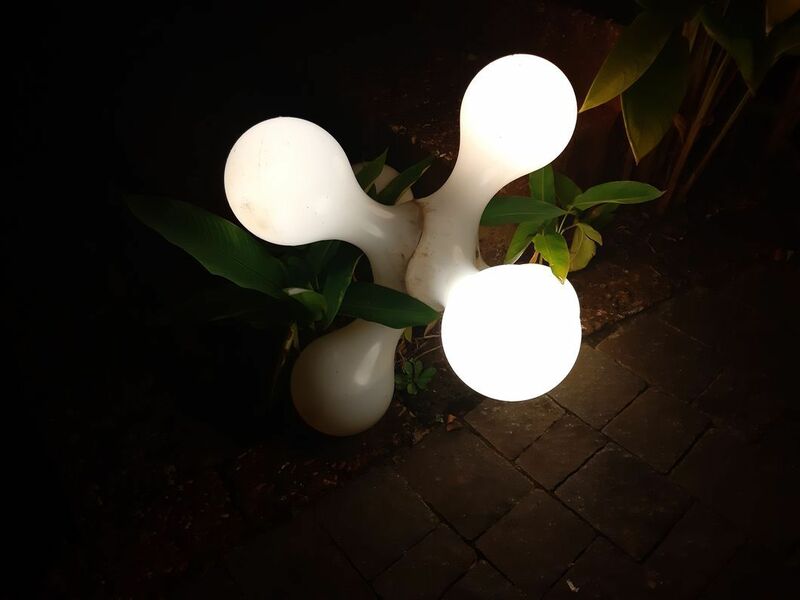 Indoors, the pictures clicked by the handset look slightly underwhelming. Overall, the level of detail in the pictures clicked by the Galaxy A7 could have been better. Unfortunately, in night conditions, there is considerable noise in the pictures taken from the Galaxy A7 and we even had to struggle quite a few times to get a decent picture. For selfies, the Galaxy A7 comes with a whopping 24MP sensor with f/2.0 aperture. The front camera sensor is capable of taking some impressive shots. After disabling the beauty mode, which smoothens the skin to a great extent, you will manage to take some selfies with a good amount of detail, provided apt lighting conditions. 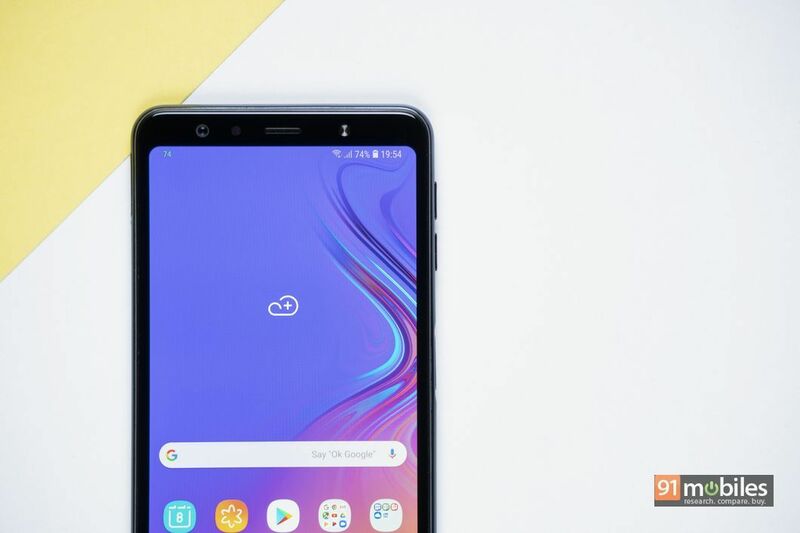 The Galaxy A7 runs Android 8.0 Oreo-based Experience UI 9.0 out of the box and comes with the standard set of apps that you might have seen on other recent handsets from the company. You get Amazon Prime Video, Amazon Shopping, and Dailyhunt apart from the proprietary Samsung Mall, Samsung Max, and Samsung Pay mini apps. As we have seen in many Samsung phones before, there is a Game Launcher app that helps you manage notification and other phone settings to help you play games uninterrupted. There are some Google and Microsoft Office apps pre-installed on the phone too. If you have used a Samsung phone before, you would not be much bothered by the UI, but someone who has been using stock Android would likely prefer a more stripped-down version of the Experience UI. The Samsung Galaxy A7 is powered by an octa-core Exynos 7885 SoC, clocked at 2.2GHz. The handset is available with 4GB or 6GB of RAM with either 64GB or 128GB of storage. Surprisingly, we faced occasional stutter issues with the phone while navigating through the UI and switching between the apps. However, as we mentioned earlier, these were occasional. The handset managed to run most of the apps and games without any significant hiccups. Slightly demanding games would have worked better with a more powerful processor but most users will be able to get through the day without any such issues. 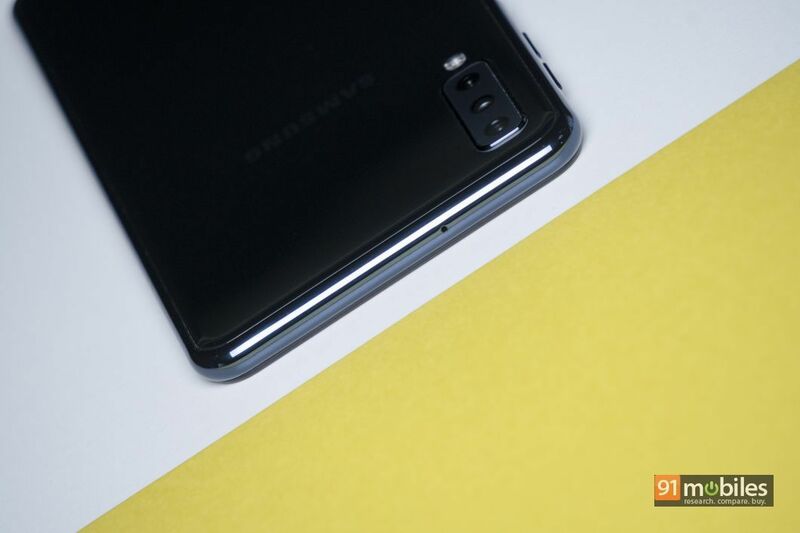 As there are now handsets in this price range that offer flagship-grade processors, Samsung should seriously consider its processor choice for its mid-range devices. For a smartphone that does not weigh too much, the Galaxy A7 packs in a rather sizeable 3,300mAh battery. In our HD video loop test, the handset dropped down from 100 percent battery level to 20 percent in around 14 hours. Even if we keep these test results aside, in daily usage, the Galaxy A7 managed to last a full day of use. 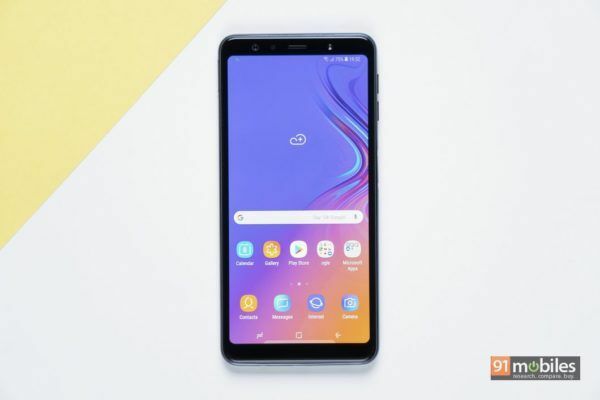 Notably, the handset does drop battery levels at a higher rate than some other phones in standby mode but overall, the battery backup offered by the Galaxy A7 is decent and should last a full day for most users. If you are a heavy user, you might have to grab a wall charger by the end of the day. As there is support for fast charging, this should not be much of an issue. While carrying the Galaxy A7 around, you will be asked about the phone quite a lot. Also, without a fail, every single person will ask you about the phone’s camera performance. The triple camera setup on the handset manages to grab eyeballs and the premium design adds to the appeal. The phone’s display is vibrant and the panel looks sharp. 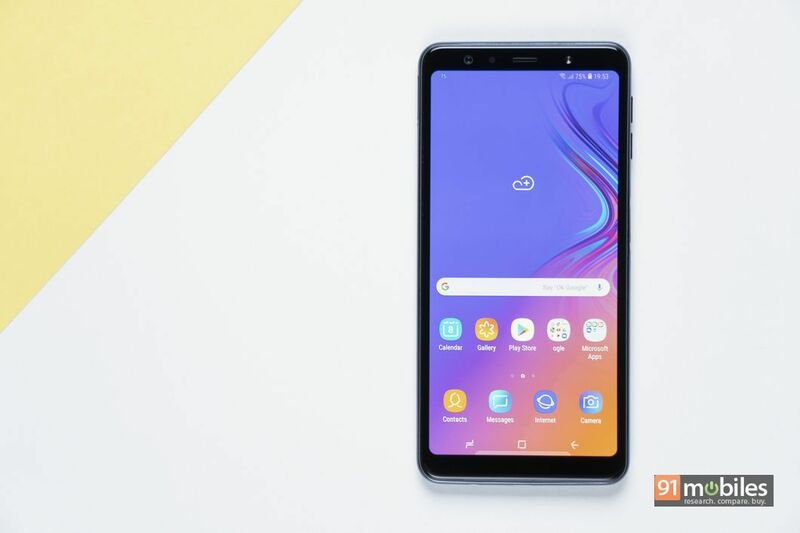 However, if we look at the competition, especially considering the starting price of Rs 23,990, there are heavyweights like the POCO F1 (review) and the ASUS Zenfone 5Z (review) available in the same price range. Even the Vivo V11 Pro (review) can be thrown into the mix. In comparison, Samsung’s offering falls short on performance. If you care about brand recognition and want the phone to have a novelty factor, the Galaxy A7 suits your bill. Otherwise, you might want to consider the other choices listed above.